Chiller’s second season of their Slasher TV series has wrapped filming, with editing currently in the process. We are excited to see the return of “The Executioner” to our screens, who takes care of business in a similar fashion as in horror films like Scream, Halloween, and Friday the 13th. 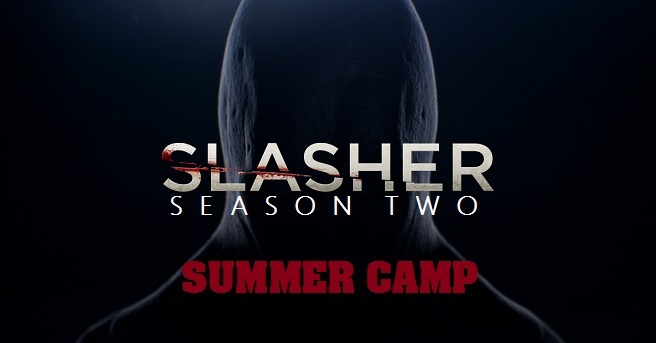 It’s also worth mentioning that Slasher season two will have no connection to the first. We don’t currently have word on the cast details for the second season at present. However, we do have a picture of actress Leslie Hope on the set. Check it out down below. Dark Universe will post more information on Slasher season two as soon as we get it. Expect a trailer to drop very soon.